With their fifth regular release Fantasyy Factoryy embrace the long forgotten concept-album. It is based on the paintings of the legendary Seventies surrealist Helmut Wenske, who did the covers of Nektar (Sounds Like This, A Tab In The Ocean, Remember The Future, Recycled), Steel Mill, Orange Peel or Dzyan for example. Alan Tepper composed the music for the pictures, which are depicted in a wonderful vinyl /poster/ info sheet. 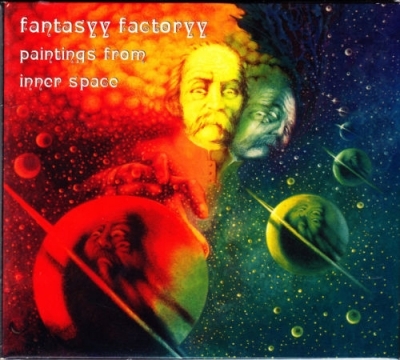 There are six songs where Fantasyy Factoryy develop their authentic style, which is based in the Sixties/Seventies, – you can hear lots of guitar work, expressive vocals, powerhouse drumming, rocking organ riffs and melodic flute-playing. Psychedelic Rock par excellence! It’s their best up to date! limited edition of 1000 !